Studio 3 Gallery hosted two exhibitions of student work in Summer 2015. The shows were comprised of ambitious pieces from Fine Art, English and Architecture departments, and from individuals working across undergraduate and post-graduate levels. 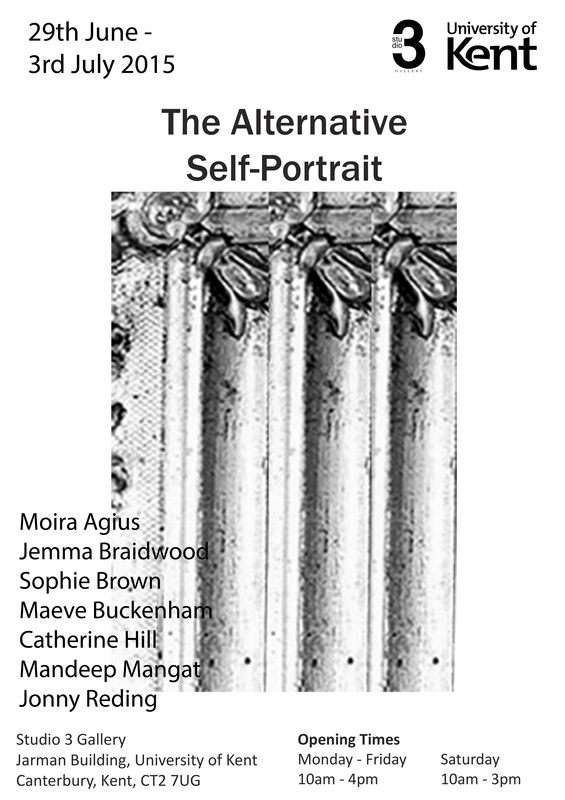 The MA Fine Art Students from the University of Kent’s School of Music and Fine Art presented their current practice in their new show, The Alternative Self-Portrait. Using a variety of media, the artists attempt to show a piece of themselves though a range of themes ranging from culture and immigration to memory and perception. Endeavouring to break the traditional mould of the self-portrait, the exhibiting artists have chosen to refrain from displaying conventional portraits in order to show representations of the self without the confines of a frame. These themes take life in a variety of ways; from a man frolicking on a beach full of local Zulus whilst dressed in a swan costume, to the participatory action of balancing on a gravel covered wobble board. Visitors will also find themselves invoking their own memories through a variety of available scents, placed throughout the space. The MA artists showcasing their work in this exhibition were all at different points in both their lives and their practice; some were graduating, some were continuing on next year, some were venturing into new and exciting directions and some are establishing themselves in their chosen medium, meaning this exhibition offered an exciting insight into the range of ideas possible in the artistic world. This exhibition brought together students from Architecture, Fine Art and English all of whom use drawing, painting, sculpture and photography to explore ideas of how spaces are defined politically, socially and physically. The gallery walls were covered by Imogen Lesser’s large-scale CAD and hand-drawn images interpreting the architectural spaces of Mervyn Peake’s Gormenghast Trilogy, prompting the reader-inhabitant to question their relationship with these physical and imagined places. Heather McCutcheon’s analogue photographs documented the intimate and ephemeral in-between moments of an archetypal American road trip. 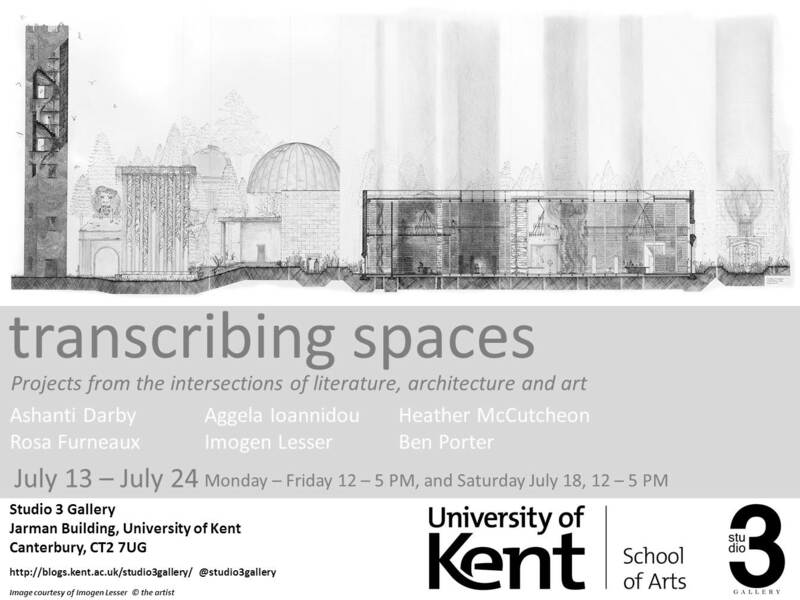 Rosa Furneaux’s photographs of transitory space in Canterbury and Dover asked viewers to consider these banal spaces as border crossings within the particularly charged contexts of Kent’s position as a first point of entry for asylum seekers. Ashanti Darby playfully investigates ideas of safety and shelter with Blanket Fort, encouraging visitors to inhabit this provisional and nostalgic construction. Finally, Aggela Ioannidou furnished viewers with bespoke hand-held screens through which they could view the other works in the show, and as a result move from visitors to voyeurs.